At the heart of all Cochon555 events lies a culinary competition of five local chefs each presenting one whole, heritage breed pig to promote local family farming. Think of a 40-course gourmet tasting menu taken standing up. Spend Sunday afternoon feasting on 1500 pounds of heritage breed pork and ethically sourced foods during our signature three-hour experience. A portion of all sales will benefit our sister charity Piggy Bank. General Admission is our signature three-hour experience filled with culinary wonderment! Feast on culinary creations, enjoy endless rounds of beverages -- and vote for your favorite bite of the day. From farm-to-table to Michelin star - all participating chefs share one core value: they source locally. If you like tasty pig, Cochon555 buys 1500 pounds of the "best breeds" from farmers doing it the "right way" and we serve up an intimate experience for 450 guests (you do the math). Splurge on the VIP area and get an extra hour of extravagance. Get up close to the chefs and farmers who made it all happen, without waiting in line. Chefs will serve a preview of two dishes during VIP, enjoy exclusive access to the Punch Kings (whole bottle Bourbon punch competition featuring top barkeeps), and sip allocated wines and spirits that don’t last the entire event. An extra hour of extravagance without waiting in line. Chefs will serve a preview of two dishes during the first hour. The first hour includes five barkeeps in bourbon punch competition called Punch Kings and enjoy reserve and allocated wines and spirits. Chef/restaurateur Jose Mendin, is the co-founder and creator of Food Comma Hospitality Group (FCHG). FCHG, encompasses a roster of innovative modern restaurants and bars including Habitat located inside inside the 1 Hotel South Beach. Originating from New Caledonia - a French Island in the South Pacific - the Red Wattle gets its name from its red color and the fleshy skin that hangs under its jowls. This extremely rare breed adapts to climates well and is an excellent forager. It is prized for its tender meat and splendid hams. Red Wattle pork is lean and juicy with a rich, beef-like taste and texture. Micheal Beltran, born and raised in Miami, opened Ariete in 2016 bringing his experience in fine dining and passion for seasonal and native ingredients to Coconut Grove. Serving creative and approachable New World American cuisine, he ushers in the next wave of Miami dining, one dish at a time. Originating from Hungary in the early 1800’s, the Mangalitsa is a very rare breed, and is considered by many to be the Wagyu of pork. The breed is characterized by its coarse, wooly coat and ability to withstand extreme conditions. Mangalitsa pork is known for its high-quality, lardo-type fat, and its high percentage of marbling, which doubles that of average pork. The Mangalitsa yields juicy and flavorful meat. As a pioneer of refined Mexican cuisine in Miami, Gomez’s culinary finesse has positioned Cantina La Veinte among the best fine dining establishments in Miami. Following the great success of Cantina, Gomez opened his newest concept, Tacology. 3030 Ocean Executive Chef and Chopped champion Adrienne Grenier is known for her signature cooking style of inventive farm-to-table fare. At 3030 Ocean, Grenier highlights premium, local and seasonal ingredients with a heavy focus on Florida seafood. Originating from New Caledonia- a French Island in the South Pacific- the Red Wattle gets its name from its red color and the fleshy skin that hangs under its jowls. This extremely rare breed adapts to climates well and is an excellent forager. It is prized for its tender meat and splendid hams. Red Wattle pork is lean and juicy with a rich, beef-like taste and texture. The Large Black breed is thought to have originated from Chinese breeds brought over to England. It is a critically rare breed known for its taste, pasture foraging skills, and overall hardiness. Large blacks have short black hair, large shoulders, and a long body. When harvested, even at 200 pounds, the micro-marbling, short muscle fibers, and excellent bellies produce exceptional bacon and moist meat with complex flavors. Over the course of the past two years - we have found great wine pairings. Click to see them all, its pretty amazing. Thanks again to all the producers, winemakers, growers and sommeliers for making this a truly stunning journey. Nico has worked at the winery since starting as an intern 8 harvests ago. He recently took over as winemaker at the Sonoma County winery where he crafts our Pinot Noir and Chardonnay from special vineyards throughout California. Originally from San Diego, when Nico isn't making wine he can be found cooking or surfing. ne tannins that are compressed and extremely long. Nate is responsible for managing Napa Valley and Alexander Valley wine production from grape to bottle and also serving as an ambassador for the brand. Having grown up in Napa Valley where Cabernet is king, Nate is happy to be working exclusively with the varietal he most often pulls out when he wants to really savor a meal or an evening. Our 2013 Napa Valley Cabernet Sauvignon is comprised of 79% Cabernet Sauvignon, 15% Merlot, 3% Cabernet Franc and 3% Petit Verdot. It was blended in early 2014 and aged for 24 months in 85% new American oak and 15% one-used American oak barrels from our Missouri cooperage, The Oak. Early blending assures a balanced core and allows all components to achieve a seamless harmony during barrel aging. It was then aged for an additional 20 months in bottle before being released in February of 2018. Bien Nacido Vineyard is a unique site along the Central Coast of California, only six miles as the bird flies from the ocean. The 2015 season was an extension of the already dry conditions established from the previous years of drought. Little to no fog developed, resulting in sun-soaked vineyards and concentrated berries. Bud break began in early March, bloom and fruit set in April, and by early June hints of color were showing through. The growing season concluded with an earlier than usual harvest for the second year in a row. Partner/Proprietor, Sandhi - Though food was Rajat Parr’s first love, wine became his great passion. Fortunately, Rajat has encountered the best of both worlds through his work as wine director for the Mina Group’s restaurants and as partner in RN74 (San Francisco and Seattle). Our “village wine” is a blend of vineyards from the southwestern part of Sta. Rita Hills including sections from Rita’s Crown, Bentrock, and Wenzlau. The 2015 bottling bespeaks its warm growing season with bright, eye-opening aromas of lemon pith, almond skin, crushed white rock, and oyster shells. From such a lifted nose, the palate is surprisingly unctuous. There is an alluring heft to the wine that carries with it flavors of meyer lemon custard and roasted pine nuts. Pax and Pam Mahle moved to wine country in 1997 to pursue careers in wine. After a few years of tasting and sourcing wine from all over California for Dean & Deluca, Pax decided to start his own brand from a vineyard he felt a kismet connection. That vineyard was Alder Springs Vineyard, and after finding an investor to help realize the dream, Pax Wine Cellars was launched in 2000. Pax Wine Cellars is focusing on the production of premium vineyard-designated Syrah based wines from the North Coast of California. Inky black and massively concentrated black fruit, black pepper, tar and roses complete the brilliant aromas of this classic California Syrah. A bit more of a bruiser than the 2013, this 2014 is the perfect foil for a fatty piece of Lamb or your favorite Cowboy Steak fresh off of an iron skillet. The tannins are velvety and the fruit intense, which reminds us mostly of the 2004 version of this wine with a lower abv. Showcasing amazing barkeeps around the country isn’t easy, but it sure is tasty in the nation’s best punch competition. Punch was the grandaddy of all cocktails, meant for sharing amongst friends and enhancing social engagements. The theme of the competition is large format, and the participating bartenders are given 30 minutes to prepare 1 punch bowl featuring 1 bottle of spirits along with their special ingredients. Visit the website for all the recipes from five years. Today’s dessert spotlights the fresh flavors of The Perfect Purée of Napa Valley prepared by one of America’s most talented chefs. Celebrating innovation, our Swine and Sweets course is inspired by classic pastry with a twist. Experience flavor first-hand with delicious complimentary samples delivered directly to your business. Request free samples of The Perfect Purée's robust flavor line-up ranging from Raspberry and Mango to Ginger Sour and Thyme & Citrus. Available to foodservice professionals only. A Pop-Up Pairing Bar presented by Wines of Germany. From bright, fruit-driven reds to fresh and elegant whites, Germany offers a style of wine for every palate and every occasion. Discover how German wines suit your city with the unique opportunity to pair a glass (or two) with special selections from a local late-night hot spot or food truck favorite. The exclusive partnership and pairing changes with each stop of the Cochon555 Tour, so don’t miss your one chance to savor a Riesling, Rosé, Pinot, or Sekt with the fare your neighborhood is known for. Wines of Germany is the exclusive U.S. office of the Deutsches Weininstitut (German Wine Institute). Consider them your primary source for information on German wine regions, statistics, and fun facts, plus promotions and events here in the U.S.! Explore this site to discover the distinctive quality and pairing versatility of German Riesling, Pinots, Silvaner, and more. The tour announced the Tartare Bar in 2013. It is a national marketing program to reinforce the importance of celebrating the source of high-quality beef. Cochon555 invites a notable chef in each market to provide their favorite variation on chopping up great beef using the best ingredients. We all love food and wine pairings, and there is nothing better than letting us handle your experience from start to finish. Over the course of the past few years - we have found some of the greatest wine and tartare pairings. Together with great wines, we have shared the ultimate expression of Napa Valley, as envisioned and crafted by one of the world's oldest and most highly respected wine producers — the Antinori family. Dedicated to the art of education and hospitality, every single event promotes artisan cheese and we invite you to take a journey to visit our great community of cheesemongers and cheesemakers through today's best cheesemongers and notable retailers. Cochon555 has motivated a change in consumer behavior to understand why to spend more money on artisan products such as meat, cheese and dairy. Much like heritage pork, the story of making a great cheese starts with sourcing great milk and responsible animal husbandry. Once we understand the message that the producer cares about the animals from birth to marketplace, we want to share it with family and friends. Created in 2008 in response to the lack of education around heritage breed pigs, Cochon555 is a nose-to-tail culinary event dedicated to supporting family farmers and educating buyers about the agricultural importance of eating heritage breed pigs, some of which are on critical watch lists. The meat they produce is recognized for its superior flavor, texture, appearance, and nutritious qualities. At all events, we source only the highest quality ingredients and products available. Cochon555 is a theater for innovative food and drink experiences. At any given event, over a hundred-plus cooks, chefs, restaurant and bar owners, renowned sommeliers and barkeeps, can be found working in concert to create luxurious moments. We work with every type of restaurant and bar imaginable – from farm-to-table to Michelin star - and all participating chefs share one core value: they source products responsibly. Our goal is to buy and promote the "best heritage breed pigs" from farmers doing it the "right way". Why? Because heritage breed pigs can't be raised in commodity settings. The epic culinary tour starts in New York City in late-January and culminates with the finale, Grand Cochon September 30th in Chicago, marking our first decade.  Cochon555 aims to create moments of inspiration, and to engender discussion and action - to buy, to cook, shop and donate in the name of a safe, honest, and delicious. Bottom line, we are educating the nation one bite at a time and creating a safer food future to be shared with our children. Your support benefits our foundation project, Piggy Bank, a start-up farm in Missouri that serves as a kickstarter for new family farms and a safety net for those in the wake of a disaster (fire, flood, and disease). Please explore our website, watch a video and enjoy an all-inclusive ticketed event that directly supports the good food movement. Sponsors create moments of inspiration, discussion and action - to buy, cook, shop - in the name of a safe, honest, and delicious.